Suzuki seems to be in an expansion mood. After launching the Suzuki Gixxer FS yesterday (on April 7), now the company has announced it is going to add 700 new dealerships across India by the end of March 2016 there by reaching a count of 1500. 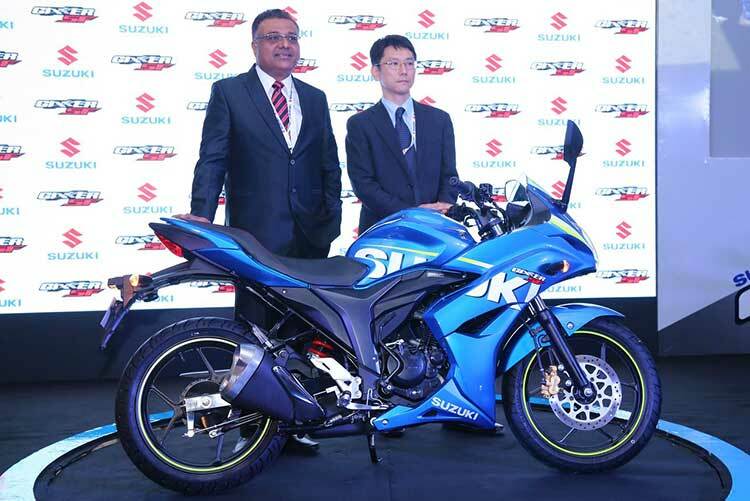 Suzuki Motorcycles India also plans to export Gixxer models to Japan. Gixxer 155cc is going to be manufactured in India at Suzuki’s Indian plant in Manesar. Exporting the bikes to Japan would commence after Suzuki tests its range of bikes among the country’s youth crowd. The company is also showcasing its Suzuki Gixxer 155cc at 44th Tokyo Motor Show in the coming October and November. Other than exporting the Gixxer, Suzuki Motorcycle India revealed their plans to adding more dealerships and to increase dealer network to 1500 by March 2016. At present, Suzuki has 800 dealers in India, Increasing the dealer count to 1500 implies the company is almost doubling their dealership network in India. We would further consolidate our position in the superbike market of 1000cc and above with the launch of the all new S1000 and S1000F motorcycles later this year. We have sold around 300 superbikes in the just concluded fiscal. Adding more dealerships would help Suzuki boost their growth in India. Suzuki Gixxer was launched in October of 2014, since then the company has sold over 50,000 units of bikes averaging almost 7000 units a month which is fairly very good number in Indian automotive market. Suzuki by launching Gixxer SF aims to sell over 1 lakh units under its famous “Gixxer” brand. Also watch the “coming soon” trailer of Suzuki Gixxer SF.